Indianapolis 500 polesitter Ed Carpenter says his 230mph opening qualifying lap that helped secure pole position 'blew his mind'. Carpenter started his four-lap run with a 230mph opener, with Penske's Simon Pagenaud getting closest to that benchmark with a first qualifying lap of 229.125mph. 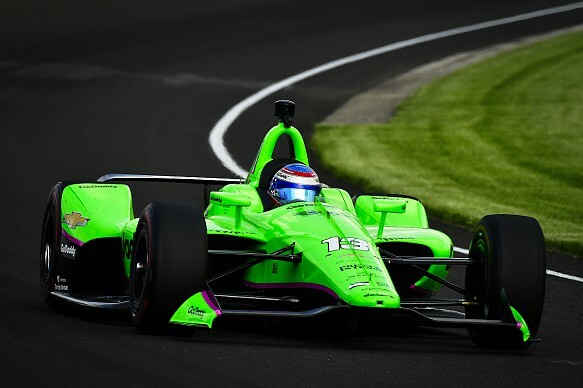 "Several drivers in the IndyCar field, including Carpenter, were able to lap in the low 231mph range on 'Fast Friday', but all had required tows to do so. But Carpenter said a 230mph lap on Sunday looked unlikely after Saturday's first qualifying. "That first lap blew my mind, I figured we could run a 229mph [lap] based on last [Saturday] night," he said. "My run last night wasn't very good. The car wasn't nearly as good as we have been. "I knew we had more left, but I wasn't expecting a 230mph [lap]. The whole ECR team, especially the guys on the #20 car, they put so much love into this car. "It means everything to me to put us in a position like this." 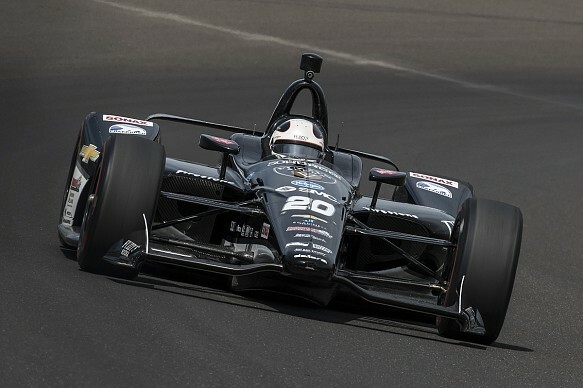 Ed Carpenter Racing did not work on qualifying simulations until Thursday's practice, and Carpenter credited a turnaround after set-up problems as key to his pole. "The car wasn't very well balanced, so we had a think about it, came back with something different for Friday," he said. "It was much, much better." Carpenter added that concerns about the difficulty of overtaking made his pole position more important than his previous poles for the Indy 500. "[Track position is more important] than my previous two poles," he said. "I think it's going to be beneficial. "It's always nice to start up front just because you can control things a little bit. "Unless we all figure out a lot with race set-ups the next couple of days, it certainly feels good knowing I've got clean air in front of me, at least as long as I get a good start. "I'm excited to get in the car and keep working on the race set-up and hopefully make it as perfect as this qualifying car was because of all the pole runs I've had here, this one, believe it or not, came the easiest." Spencer Pigot and Danica Patrick made sure all three ECR-run entries made the qualifying 'Fast Nine'. Patrick qualified seventh after a slight error at Turn 1 and said she was glad her run was "boring". "You hope it's boring, and it was pretty boring," she said. "So as far as a run goes, to be going as fast as you can possibly go, it was pretty comfortable. "We're there in case something goes wrong, but other than that everything should be pretty predictable, pretty boring up there. "You're pilots just ready for emergencies. That's what we're doing in the car, we're ready for understeers, oversteers, and you're there for it, so luckily it was pretty good."